A Torah codes expert discovered hints concerning North Korea’s recent threat to use nuclear weapons against America and revealed that the despotic regime is specifically designated as having a terrifying role in the end-of-days. Even more alarming are the codes describing the part that legions of angry angels, harsh messengers of God, may play in this scenario. Last week, North Korea warned it would consider launching a preemptive nuclear strike against America in response to joint US-South Korean military exercises. 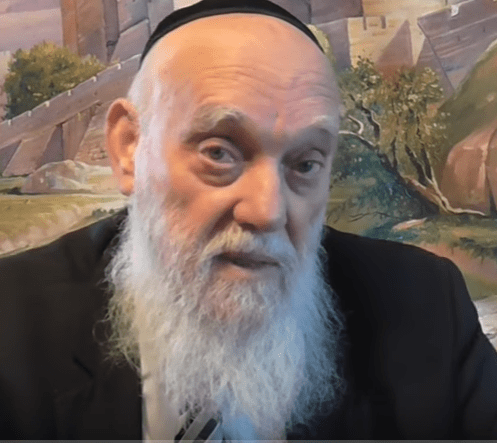 Rabbi Matityahu Glazerson quickly released a video explaining how Torah codes, a system of interpreting the Bible by connecting letters through set intervals, reveals how the two countries are pitted against each other in a nuclear showdown. Using a special computer program to help him find these codes, the rabbi found the words ‘Tsafon Korea’ (North Korea). The message became even clearer as the rabbi found the letters aleph, heh, resh, and bet arranged sequentially. These letters form the acronym for ‘Artzot Habrit’ (the United States in Hebrew). Both of these codes were adjacent to the words ‘Shoah Atomit’ (atomic holocaust). On the same grid of Bible codes, the rabbi discovered the word ‘Gog’, which the he said hints at the possibility that North Korea is the nation that will bring the pre-Messianic war, prophesied to come “from the North”. Even more shocking was the discovery in the grid of Bible codes of the name Samael, the main archangel of death, and his mate, Lilith. Samael literally means ‘the drug of God’, or, as it is explained in the Zohar, the poison of God. In the Talmud, Samael is described as the angel of death and commander of a legion of two million angels. The Yalkut Shimoni, a compilation of rabbinic commentaries on the Bible believed to have been composed in the 13th century, identified Samael as the angel of Esav (Esau) that fought with Jacob, bestowing upon him the name ‘Israel’. Samael became the angel of the nation of Edom, according to Rabbinic literature, which became Rome. 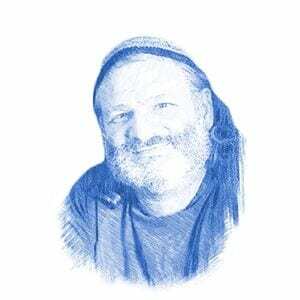 According to many contemporary rabbis, Esav is now epitomized by Western civilization, headed by the United States. 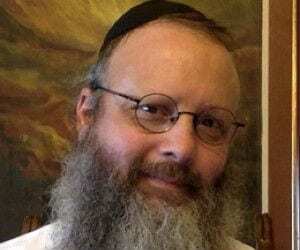 When Rabbi Glazerson searched the codes surrounding the names of the two countries, he also discovered the words ‘hahatra’a’ (the warning), and ‘iyoom’ (threat). The rabbi explained that this international confrontation is not confined to North Korea and America, but will actually help bring the Messiah. In his video showing the grid of letters, Rabbi Glazerson points to the word ‘Moshiach’ (Messiah) adjacent to ‘ben Yishai’ the son of Jesse. The same interval reveals the letters denoting Hebrew year 5778, which will begin on the Jewish new year in September. Rabbi Pinchas Winston, a prolific author and End of Days scholar, agreed that the current confrontation could have dire consequences. “North Korea is a kind of wild card. It may be a small and obnoxious country that, as we have seen in history, somehow triggers much bigger things, similar to the assassination of Duke Ferdinand triggering World War I,” he suggested.